Ideal Power, a power conversion technology company, announced that it has received an order for 35 units of its compact and efficient Stabiliti 30-kilowatt power conversion system from an existing customer. The Stabiliti will be integrated with energy storage and solar photovoltaics (PV) at a municipal school district in Northern California, with systems to be installed at six different campus locations. The six solar+storage systems will lower high electricity costs caused by time of use and demand charges, while also reducing the impact of power disruption due to grid constraints. In California, high energy bills are the second largest operating expense for many school districts. According to the United States Department of Energy, schools in the United States spend about $6 billion a year on energy. Solar power paired with energy storage is a powerful tool for schools to manage expenses and direct capital towards improvements to education, while also lowering their carbon footprint. Ideal Power’s Stabiliti series is a grid-resilient 30 kW power conversion system that is available in two versions: a two-port AC-DC system for energy storage, and a versatile multi-port AC-DC-DC system that enables the direct integration of solar and storage, The Stabiliti series is used by project developers and system integrators who need to efficiently connect distributed energy resources to the grid. Key features of the Stabiliti include full galvanic isolation, grid forming capabilities for microgrid applications and a smaller footprint and weight compared to traditional power converters, resulting in lower installation costs. Stabiliti is the next generation of Ideal Power’s patented Power Packet Switching Architecture (PPSA)(TM) technology and incorporates new benefits for commercial and industrial customers. Kelsey is senior editor of Solar Power World. Awesome. Can you market this to Lake Wildwood HOA in Penn Valley, .CA? please. I noticed thwy had generators hooked up to all the seer pumping stations in the community when we had our last 2 day power outage a couple weeks ago. Thanks for all that you do! 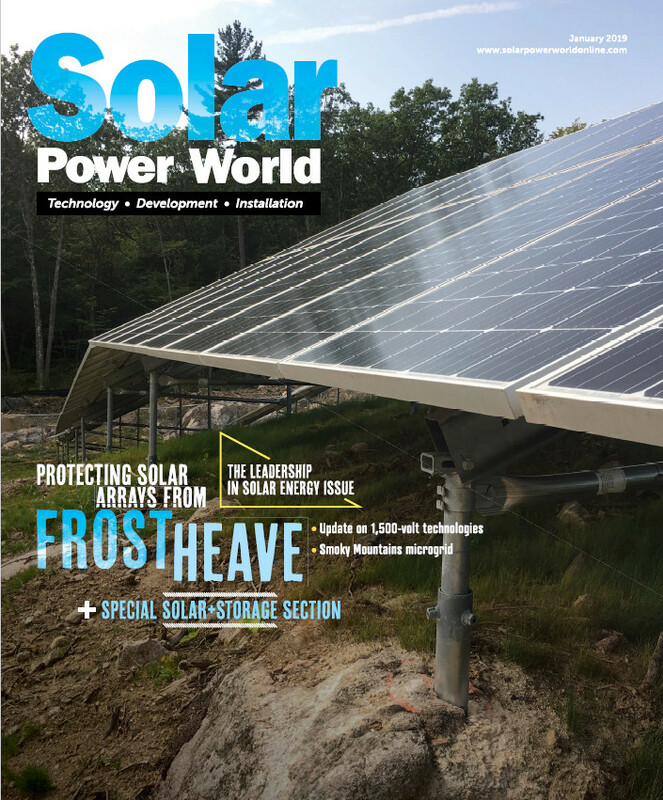 Browse the current issue and archived issues of Solar Power World in an easy-to-use, high-quality format. Bookmark, share and interact with the leading solar construction magazine today. Click to see the manufacturing locations of the industry’s most popular solar panel brands.